Energy and Climate Collaboration Key to U.S.-China Relations? Working together on critical energy and climate issues could be a boon for broader relations. It is the best of times, it is the worst of times. This is a good description of the bilateral relationship between the United States and China right now. Tensions in the South and East China Seas continue to grab headlines and intense competition between the U.S. and China are here to stay as the emerging and existing powers struggle to settle a new international order. But deeper collaboration between the world’s largest consumer and producer nations is also a necessity in a globalized world. Collaboration on energy and climate issues is the ideal bridge between the two powers. While China is the world’s largest goods-exporting nation, excluding energy; the U.S. remains the largest consumer. Meanwhile, the U.S. is set to become the world’s largest oil producer by 2015 and China is the largest oil importer. These twin pairs of trade connections have the potential to change the previous one-way traffic, creating a new basis for the bilateral relationship. At the recent U.S.-China Strategic and Economic Dialogue that took place in Beijing, nearly half of the 116 outcomes agreed were on issues related to energy, climate, and the environment. This indicates the depth of connections in this area and provides a strong example of cooperation. China’s oil and gas import dependency is set to continue to increase, and as it does its energy supply concerns will play an increasingly important role in China’s foreign policy. Domestic shale gas was hoped to offer an alternative future, but as yet most of the shale gas pilots in China have not had success. As a result, China is eyeing the opportunity of importing shale gas and tight oil from the U.S. alongside technology cooperation in order to exploit resources at home. China has invested heavily in shale gas and oil resources, infrastructure, and business in North America, for example with CNOOC’s acquisition of the Canadian oil company Nexen for $15.1 billion in 2013. Climate change is an area that should ultimately bring the two nations closer together even more than cooperation on energy. If the world’s two largest economies, and two most powerful nations, can’t come together to address this very real threat to human civilization, then what can they achieve together? The level of understanding between the U.S. and China has improved significantly since the Copenhagen Summit in 2009 when global leaders failed to deliver on a much-anticipated international climate deal, which many attributed to disagreement between the Washington and Beijing. Managed effectively, this new dynamic offers a more promising outlook for future climate negotiations, including the crucial Paris meeting in 2015 when nations will again gather to discuss an international climate deal once more. This very real potential for greater collaboration exists because energy and climate policies can serve American interests, while at the same time helping the Chinese government to address some of its burning domestic concerns. 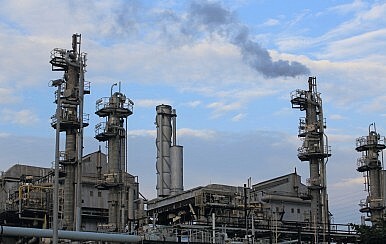 Near the top of China’s agenda is the air pollution and environmental degradation being caused by its over-reliance on dirty and heavy industry for continued economic growth. Reducing emissions from heavy duty trucks in China is one potential significant outcome from collaboration. Through collaboration in setting higher fuel standards in China and cleaner technology transfer, U.S. companies can help China tackle a major domestic problem, while at the same time enjoying an opening to the grand market in China. Similar benefits could also be seen in the newly added collaboration initiative in industrial boiler efficiency and fuel switch and the potential collaboration on green ports. For real progress to be made there should be a strict joint focus on a few priority topics. This offers greater prospects for progress than taking on too many fronts simultaneously. These national initiatives can usefully be supplemented by similar strategies at the sub-national level. For example, IBM launched a collaboration initiative in July with the Beijing municipal government to help monitor and address air pollution. A help in need is a help indeed. This is a simple truth that both governments seem to start to understand in the context of their bilateral relationship. Successful collaboration on energy and climate matters may hold the key to unlocking the tight knot in wider U.S.-China diplomatic relations. Wang Tao is a resident scholar at the Carnegie-Tsinghua Center for Global Policy. Can China and the US Stop Climate Change? Shifting domestic situations have created an atmosphere for US-China cooperation against climate change. China's Climate Change Chief on Trump: Wise Leaders Don't Resist Global Trends6 Takeaways from Xi Jinping's US VisitA Bright Spot in US-China Relations: Renewable EnergyThe 2015 US-China Strategic and Economic Dialogue: What (and What Not) to ExpectIs the US-China Climate Change Deal DOA?